Prime Minister Roosevelt Skerrit told the United Nations in New York Thursday during a meeting on climate and sustainability that Dominica is in the ‘front line’ in a global war on climate change. Prime Minister Skerrit began his address by reminding delegates that 2 years ago, he stood in the same chamber after his Caribbean country had been hit by two hurricanes in a row. An indirect strike by category five Hurricane Irma, followed by a direct hit from Hurricane Maria two weeks later; Maria was the most powerful storm that has ever been recorded. “This hurricane literally reduced our homes, schools, hospitals, roads, bridges, general infrastructure and our economy to rubble. In the space of a few hours, Maria wiped out 225% of Dominica’s GDP,” he said. Skerrit spoke of his heartbreak at seeing the complete devastation the hurricane had caused and the pressure on him as leader of the country to rebuild and recover. 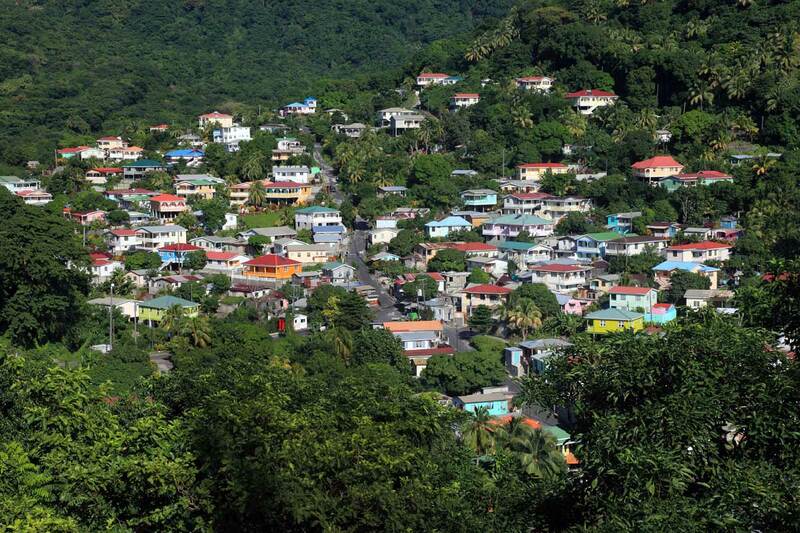 Some commentators doubted Dominica “could ever recover”, but in fact the small island nation will see economic growth of 9% this year according to the Economic Commission of Latin America and the Caribbean (ECLAC). Skerrit’s government also has launched and is managing the project of making Dominica the first climate resilient nation in the world. However, Skerrit was clear that Dominica cannot realise its aim by itself and called on the international community to help. Without this, he said, “small island developing states like mine and those of my Caribbean brothers and sisters” will find it difficult to compete with the world’s largest economies in the face of climate change. Skerrit called on the international community to live up to the promises it made at the Katowice climate summit last year in Poland and limit global temperature rises to just 1.5 Celsius. Comparing the fight against climate change to a war, Skerrit emphasized that global warming can only be dealt with if the whole world works together. “As with any other war we must take the threat seriously and mount a commensurate response. We must employ defensive positions with appropriate policies and programmes. We must equip our troops who are our populations to adapt and mitigate. Most of all we must recognise that the brotherhood of multilateralism requires us to fight as a unified army,” he said. Skerrit also outlined more specific plans for countries in the Global South (also known as developing countries) to share low carbon technologies and for SIDS to develop a system of financial procurement for acquiring blue and green economic activities. By the blue economy Skerrit is referring to the use of the sea and its resources for sustainable economic development.